By knowing the different types of safes, it will be easier for you to choose the best one for your needs. Choosing a safe, or strongbox, doesn’t have to be a daunting task even though the number of options can definitely be overwhelming to the average layman. Do you need a safe for your home or office? Perhaps you are looking for a something to protect your family jewels and heirlooms. Maybe you need to keep the hunting equipment out of the reach of children. Or, you may only need to protect your documents or your data from fire or water damage. Do you keep large amounts of cash at home or at your office? Should you buy a wall safe, a floor safe, a fire safe or lock box? 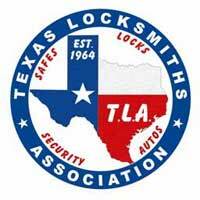 The best way to approach buying a safe is to collect your thoughts on the subject and contact a local locksmith. They deal with strongboxes and locks every day and are best suited to solve this type of problem quickly. Just as you don’t want to buy one that is too small, you surely don’t need to pay for a fancy safe that is huge and has all the bells and whistles, unless it is required. 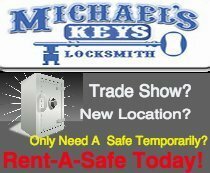 In the Fort Worth and Dallas area, the best locksmith to contact is Michael’s Keys. We have physical locations in Fort Worth, Colleyville, and Dallas. We are respectful of our customers and their property. Plus, our prices are very reasonable. 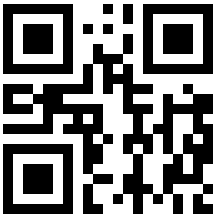 We can give you sound advice, help you in the selection process, and handle all the delivery and installation issues. If you are curious, or if you would just like to be able to talk to your locksmith with the same vocabulary, you may find the following definitions of the different “types of safes” useful. There are four basic types for the home: Fire Safes, Burglary Safes, Gun Safes, and Jewelry Safes. If you only want to protect important documents at home, like a will, automobile titles, etc. that are very important to you, but would be of little use to a burglar, you might only need a simple fire safe. These can usually be picked up at your local Walmart, etc. They are not very secure, but they are fire resistant and might protect your valuable papers in the event of a house fire. Their fire ratings are not very good (fire resistant not fire proof ) and are time limited to one hour or less. But, these entry level safes are good for those on a strict budget. One hint is to “not lock” it. Strange as that sounds, there is a reason for doing so. They are usually not bolted to anything and therefore can be easily taken from the home and opened elsewhere. If you do not lock the safe, the burglar will open it and see nothing of value to him, and hopefully, leave the safe behind.These safes provide very limited fire protection. For greater protection see the next section. A burglary safe is more secure than the simple fire safe. They are heavier, and in the “safe world” heavy almost always equates to “more secure”. Steel is heavy and well built safes are made of steel! Burglary safes are usually concealed in some manner. The three main burglary type home safes are the stand alone safe, wall safe and the floor safe. Most of these safes are fireproof, not just fire resistant. It’s always good practice to check the fire rating before buying. This type is heavy and usually made of steel. It can be fireproof and can be fitted with a wide array of locking devices, from key lock, to combination lock, and even all types of fancy electronic locks. They generally can be mounted to the floor or another surface but generally are just free standing. Their weight alone discourages removal from the premises. This versatile safe can be easily located in almost any “out of the way” place. Just make sure you have room to open the door fully! Also keep in mind that you may want to move it at some time. So, bear that in mind when buying. This is a very popular way to hide important documents and other valuables in the home. People employ this type of safe to conceal their valuables inconspicuously out of site. The wall safe is more convenient than the floor safe because it is connected to the studs in the wall and does not require the home owner to stoop to use it. For even more security it can be concreted into place. This type can actually be imbedded into a concrete floor. This makes them very immune to removal. The only down side to embedding it in the floor is that it can, over time, succumb to rust, because of how it is installed. Ask your local locksmith about this and about what preventative measures can be taken to reduce the likelihood of rust damage. These come in various sizes, strength of security, fire resistance and price ranges. 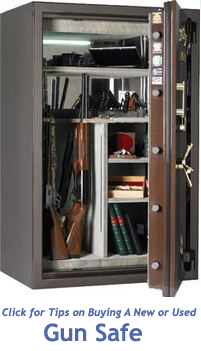 A gun safe is most often necessary to keep your weapons out of the hands of children. If that is your only concern then you need not worry yourself with fire resistance values or the use of highly secure locking mechanisms. Of course, if you have a valuable collection, possibly even containing some guns that are irreplaceable, you need to protect them from both theft and fire. Talk to your locksmith about the fire resistance and fireproof ratings of the various models. The size of your collection will also help determine which model to choose. The local jeweler used to be the most common user of a jewelry safe. Well today, affluent citizens in all countries have turned to jewelry safes for protecting their valuable, and often priceless, jewels and other valuables. They are fairly expensive, but, if you have fine jewelry, the expense can be justified. Most jewelry safes are beautiful in themselves. The interiors of these units are delicate and easy not only on the jewelry but on the eyes as well. Many have beautiful wood and velvet interiors. But, don’t let the insides fool you. They are made of heavy duty steel (at least the good ones are). Look for flexible drawer layouts that can accommodate your own collection as it changes through the years. Make sure to install the safe where it is well hidden yet very accessible to you. Make sure you allow enough room so that you can open the door fully. Arrange the drawers to keep your valuables organized and to prevent unnecessary stooping. Most businesses require a much higher level of security than home owners. They process and save documents that have tax ramifications, as well as store higher cash money on a daily basis. Various unique vault and safe issues can be very important in situations like this. Most businesses utilize an alarm system in conjunction with their money safe or vault. Many of the home safes that we have discussed previously can and are used by businesses. But, a few are specific to business use. You may have heard of some of these safes. Here are a few: Office Safe, Drop Safe, Deposit Safe, Rotary Hopper Safe, Hotel Safe, Bank Vault, Data Safe, Media Safe. Some of the names are a little redundant. For instance, the rotary hopper safe is a type of a deposit safe, and a media safes and a data safes can be interchangable. 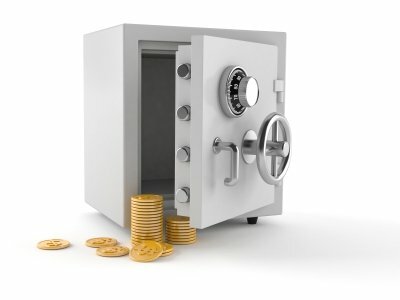 A bank vault is different from a conventional safe in that it is an integral part of the building that it is in. Sometimes called a strongroom, it is in fact an armored room with a heavy, close fitting steel door and a complex locking mechanism. Typically the office safe is a stronger version of the home safe. They are usually fireproof. Their fire ratings are usually much higher. In most cases, they are drop tested to verify that they will not unlock when dropped from a specified height. And the locking mechanism is usually more secure than a home safe. Most of these safes utilize an electronic lock of some kind. These inexpensive safes are provided by hotels so that their lodgers can have a secure place to put their valuables during their stay. These are not really very secure, but, it beats leaving your valuables laying around. They are usually mounted to the wall with supplied bolts. Some have automatic lockout in case too many consecutive incorrect attempts have been made. If the guest forgets the combination, there is a master card or key that the front desk can use to open it. These are considered a low security safes. These are state of the art and can be quite expensive, depending on the size and specs. Paper inside a safe that is in a fiery room can withstand temperatures of up to 350 Degrees Fahrenheit for a couple of hours without being destroyed. Digital media, however can only withstand temperatures of less than 125 degrees and humidity lower than 85%. So, what is digital media? Think computers and video. We are talking about video and audiotape, CDs and DVDs, floppy diskettes, and all types of film, including microfiche. In today’s data centric world, the data safe (or media safe) is quickly becoming the most important addition to any business. The loss of a company’s valuable data, due to fire, can deal a knockout punch from which they might never recover. These are used by banks, postal offices, and anywhere that a quick secure deposit needs to be made, without opening the safe door. Usually the valuables are dropped into a small hatch in the top or front of the safe. These are used to hold the valuables temporarily until the goods can be transferred to the main safe or else processed in some way (such as when a teller processes a bank deposit). I hope that by reading about and knowing the different types of safes, this article will assist you in choosing a new safe that is just right for you.